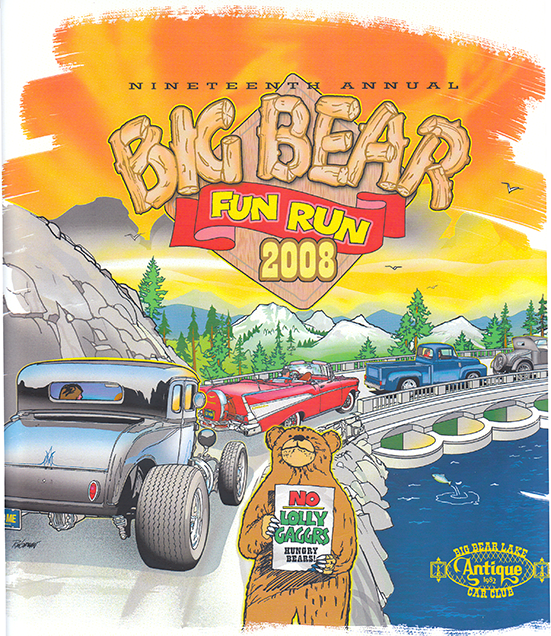 The 2008 Fun Run was our 19th annual show. What a mob scene! 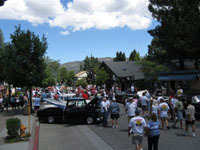 The 19th Fun Run is now complete, and most of the cars have left Big Bear Valley. 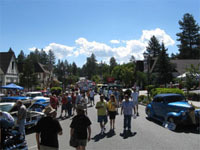 The 350 participants familiar with our Drive Around The Lake on Saturday indicated there were many more spectators waving along the route waiting to see this outstanding parade of cars. 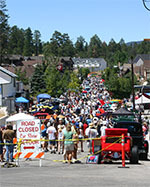 Sixty-five trophies were awarded Sunday to the winners. As usual the winning cars were SPECTACULAR. The driver received a laser cut wood plaque on a brass stand, plus the passenger also received a red rose. There was one car that could not make the Sunday program so we presented the award to the second place car. There was a car that arrived late to the awards ceremony, and we added it on to the end after skipping it in the normal lineup. 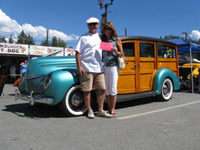 The winner of the 350 Chevrolet engine raffle was Keith Rowe, an employee of the Big Bear Building and Safety Department. 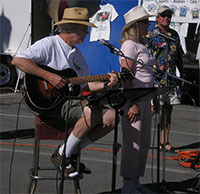 Kurt and Susan Mayo who sang a medley of patriotic songs ending with the National Anthem began Sunday’s awards program. As usual the show was great with Club President Cliff Fowler introducing the winners with wife Lynn and Vice President Dan Percifull handing out the trophies and the flowers to the lucky winners.